Maple Creek is a Saline neighborhood with traditional style homes on 3/4+ acre lots in a tranquil setting. There are currently 0 homes listed for sale, and so far this year 1 has sold. $320,000. 2167 Maple Creek Cir., Ann Arbor. 1880 square feet with 3 bedrooms and 2.1 baths. Last year, 1 home sold with a sale price of $320,000 with a price per square foot of $167.00. The 1 home that was sold this year had a sale price of $320,000 with $/SF of $170, up slightly; this home has 40 square feet less than the home sold last year. To learn more about home values at Maple Creek, contact the real estate specialists with The Bouma Group at (734)761-3060 or email info@bouma.com. 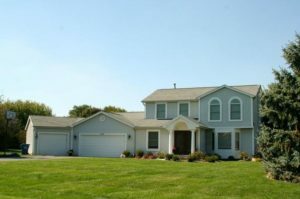 View more Saline neighborhoods here!